Earlier this week I did the final racking, priming (DME, about half what the recipe said since bitter’s aren’t really known for much in the way of carbonation) and bottling of the English Bitter that has been underway the last month or so. Yesterday, I took the time to label it. This time its intended recipient can tell what it is, instead of guessing! Came in at ~5.1% ABV. It’s not like I can be hyper-accurate, so I rounded to the nearest half degree. 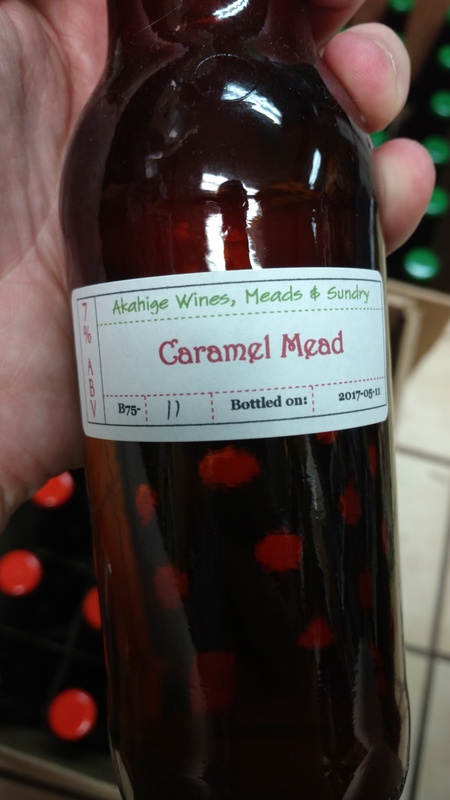 I also used this opportunity to finish labeling the carbonated mead (made with just a hint of caramel malt), which had been sitting around the office unlabeled since May. I did make one mistake, and forgot to switch out the batch number. They now both appear to be batch 75! I'm interested in theology, languages, translation and various sorts of fermentation. 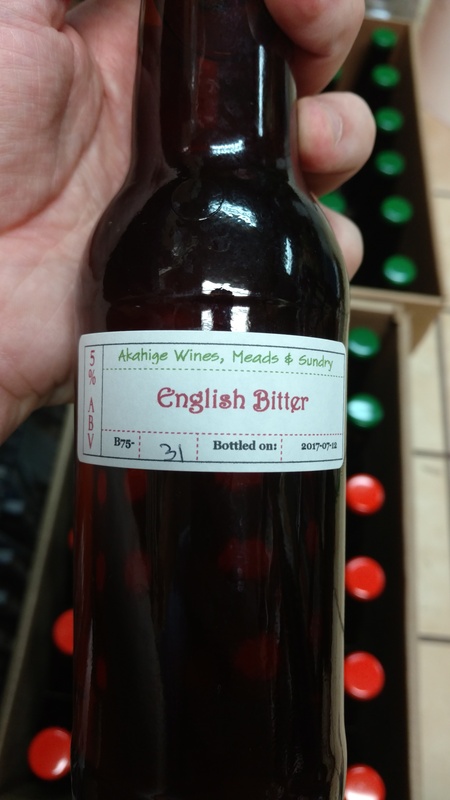 This entry was posted in Beer, Mead and tagged English Bitter. Bookmark the permalink.